The decision to give up a secure, full-time job and begin your own online business is not an easy one. You may hesitate to make this decision because you may dread the uncertainty of your future. You may not be certain whether you will succeed in your online business or not. Do You Have What It Takes To Do An Online Business? Before you decide to take up an online business, you should make an assessment of yourself to find out if you have what it takes to do such a business. The foremost point is that your productivity should be to the desired levels. When you do your own online business, you do not have a boss to supervise your work or monitor your progress. You are accountable to none else except yourself. Since you do not have rules or regulations or fixed timings for doing your job, you may tend to procrastinate things. This may prove to be detrimental to your online business. Therefore, you should be highly disciplined if you want to succeed in your endeavor. There is the other side of the spectrum. Since you will be doing your own online business, you may tend to over-work also. You should ensure to have sufficient breaks. Apart from providing you with the required rest, these breaks will rejuvenate you and help you in maintaining the levels of your focus, efficiency and enthusiasm. If you are confident of sticking to these rules, you can be certain of succeeding in your online business. If you want to do an online business, you should first dispense with the habit of protecting your ego because this is not at all entrepreneurial mentality. The main point is that you cannot learn anything if you are egoistic. For example, if there is something about which you have no knowledge, your ego will not permit you to admit your lack of knowledge. Pretending to possess the knowledge without actually having it may land you in serious troubles especially when you are doing your business. Since you have all along been in a secure employment, you may have a number of limitations. Your habit of protecting your ego is also a limitation. You must work against these limitations because your aim is to break these shackles for expanding your horizons. This is possible only if you acquire the required knowledge. There are several ways to acquire such knowledge. You have the Internet, you may know people doing online businesses and so on. You can widen your circle or can learn by taking up appropriate courses also. In short, you should be relentless in acquiring the required knowledge. This knowledge will expand your mind and will help you in redefining your limitations. Secondly, you should not be wish-focused. Instead, your focus should be on your success for which you should analyze the ways of people who have succeeded in online businesses and learn lessons from their lives. When you analyze the successes of these people, you may observe that they have achieved success only after surmounting the challenges they faced. Instead of focusing on why things would not work, they might have focused on the solutions to the challenges. They might not have hesitated to take proactive actions like changing themselves, changing their attitude and so on. In short, if you resist changes, you cannot do your online business. You may have a number of good ideas but may not have attempted to execute any of them. Due to this attitude, the ideas may have slowly slipped away from your mind. If you want an idea to fructify, you should not allow it to leave. As soon as the idea springs in your mind, you must start exerting the required force behind it. Experts say that when an idea is fresh in your mind, the force exerted behind it may work wonders. If you take action on it, the idea may move forward at an unimaginable speed. It is not necessary that your actions should be perfect. it is enough if you act sincerely and purposefully so as to propel the idea forward. Acquiring knowledge and competence about the online business you have chosen is very important. Competence is certain to give you confidence. Once you get that confidence, you cannot remain quiet without taking action. In fact, the fastest and the easiest way to get confidence is to take action. Once you gain confidence, you can quit your job and focus on your online business. 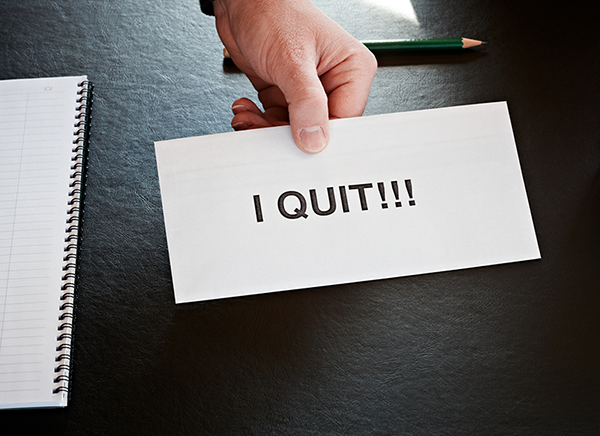 Experts point out that you should quit your job and launch your online job at the right time. By timing the decision appropriately, you are increasing the chances of success in the business manifold. But how to decide on the right time is a big question. 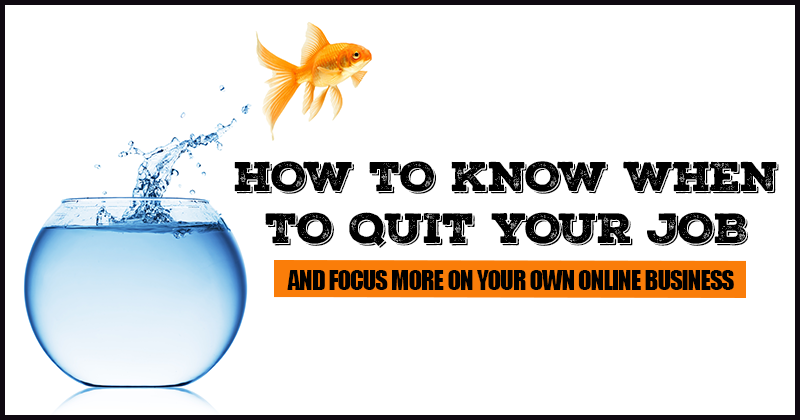 I will give you a few practical and mundane suggestions to know when to quit your job and start focusing on your online business. The first question you should ask yourself is whether the miserable feelings you have with your current job have become unbearable. But i do not advise you to take impulsive decisions. Create a concrete plan, because according to my experience you should have adequate income to support yourself and your family. Do You Have The Initial Investment? I also suggest that you should check if you have the financial wherewithal for starting the online business. Though an online business may not require a big initial investment, you should be ready with some money not only for starting the business but for supporting yourself and your family till you generate income. Once you start your business, you cannot afford to waste your energy worrying about mobilizing funds for your routine as well as unforeseen expenses. I want you to determine how your routine should be. At the same time, be warned against instant freedom and therefore, i advise you to have a regular schedule at least in the initial stages. Though flexibility in working hours is the main benefit of an online business, you are advised against enjoying such a freedom during the initial period. It is better to continue with your 9 to 5 routine because this will help you in maintaining your productivity. The next point you should consider is to check if you have the capabilities that are required to carry out the tasks related to the online business you have chosen. You should be honest in your assessment because taking upon a business you are not capable of doing may be an imprudent decision. There may be online and offline courses by undertaking which you can acquire the required capabilities. You will do well if you have a back-up plan. Experts point out that successful business people are smart enough to have a Plan B. Therefore, you should put in place a suitable back-up plan. While devising this plan, you should ensure that the plan is reliable because you will be making use of it when you are in a crisis or when things do not go as per your original plans. So, once you develop the required discipline, have acquired the needed skills and gained confidence, you can think of quitting your job and focusing on your online business. But you must make sure that you have sufficient funds with you for your initial operations and for supporting yourself and your family till your business generates income. 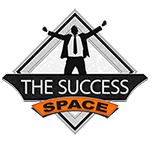 The Success Space is a place specifically designed to teach you how to improve yourself, become more productive and increase your chances for success! Our mission is to inspire, motivate and help people perform better, achieve their goals and enjoy life.